Turned in the medium, not good. I am aghash at what has happened in MA. This is one time that nobody can blame an election on the right wing fundamentalists. I know this is not a political blog but just can't get this off my mind. 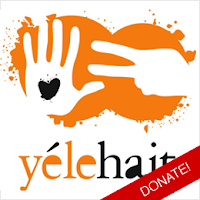 I have already donated to Haiti and will more through this site. Thank you for giving the opportunity. his pancakes and a crayon - could it get any better than this? enjoy your blog - pictures and videos are great.